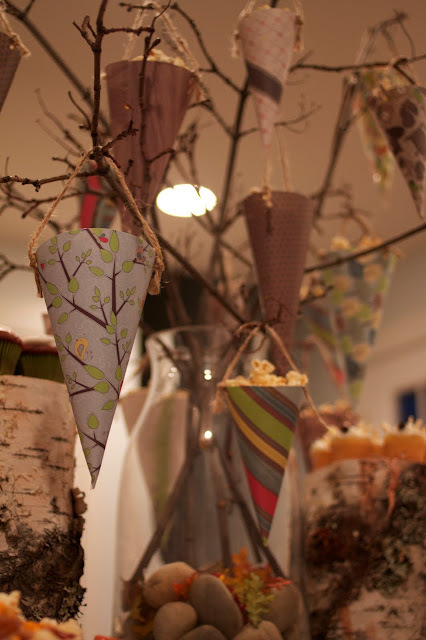 Last week we through our friend Jenn an EPIC woodland themed baby shower. so we thought a woodland theme was fitting. 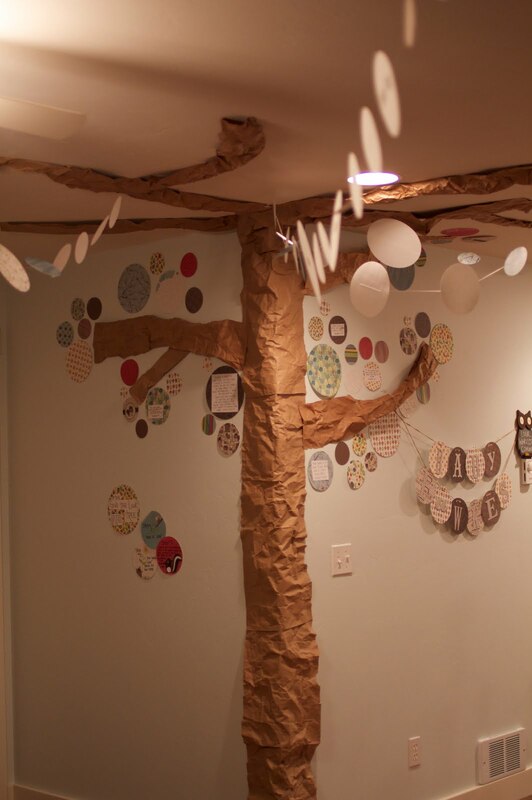 Sara and I made a tree in her living room out of brown grocery bags. The "leaves" were circles cut from scrapbook paper. 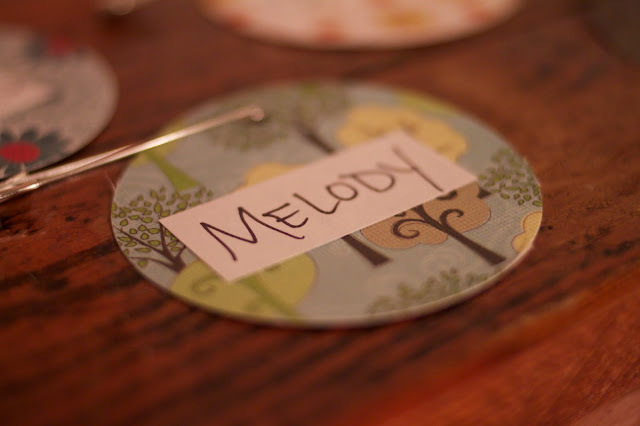 Name tags from the same paper. For dinner we served soup, salad and bread. 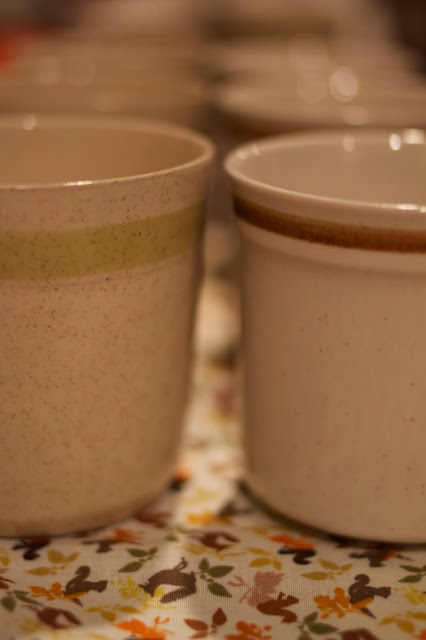 I found these PERFECT mugs to serve the soup in. At 10 cents a piece, I think it was a pretty good deal. FAVE blogs The City Cradle. 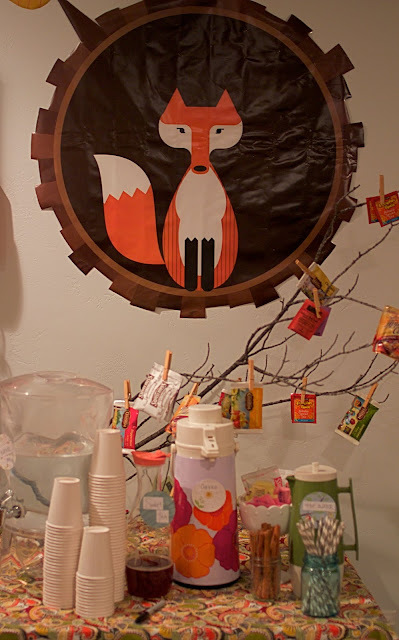 The drink station was SUPER fun! that we placed on the wall. 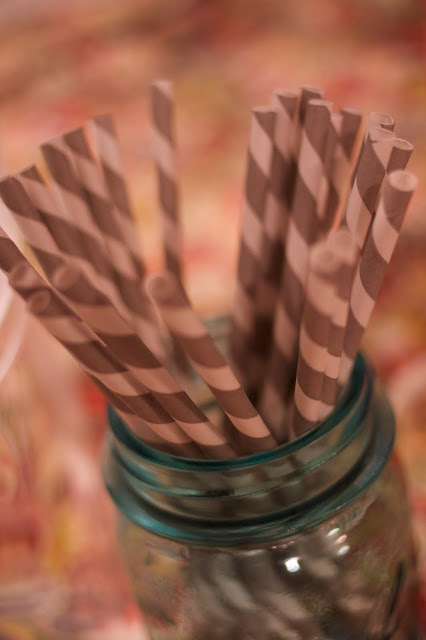 My FAVORITE straws from Garnish in my favorite vintage blue Bell jar. The DESSERT island was very yummy. 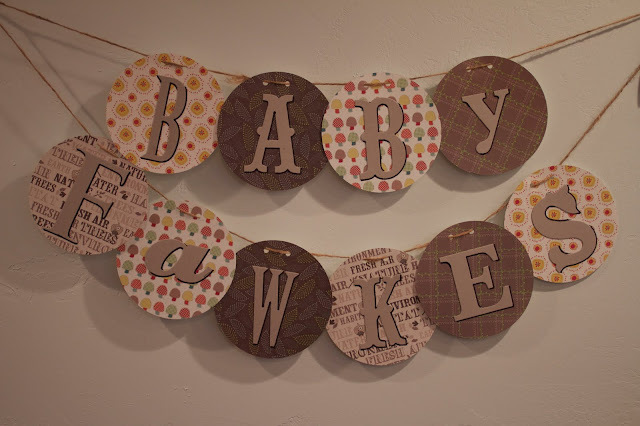 made from the same scrapbook paper. 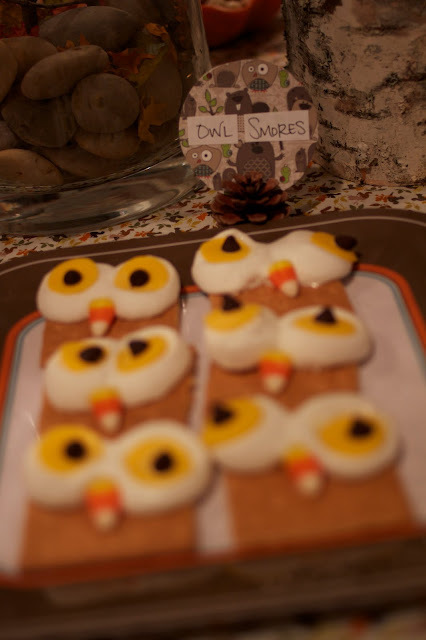 Owl S'mores from Living Locurto. covered by glassed domes purchased at the thrift store for $3. 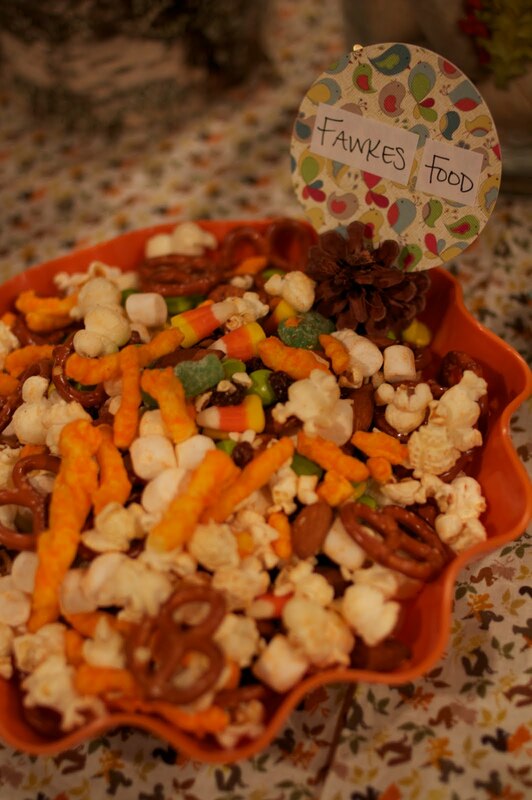 Fawkes Food was made up of munchies that Jenn has been enjoying while pregnant. Everyone got some Fawkes Food to take home as a party favor. 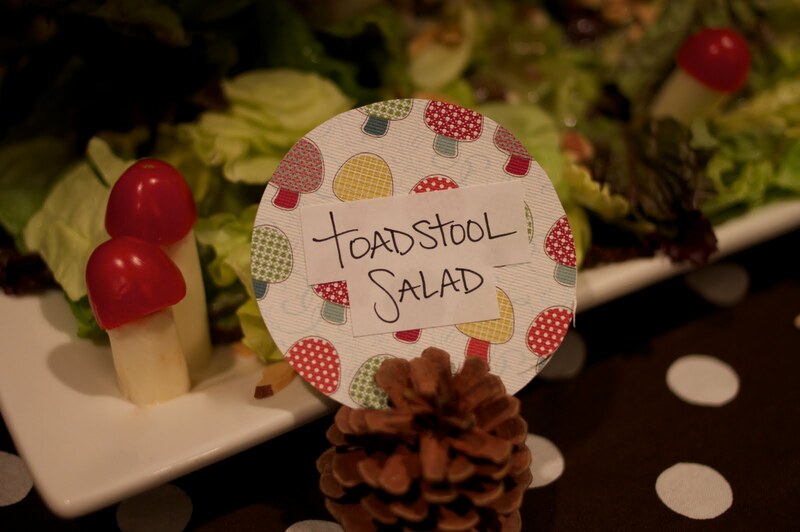 This MIGHT be my favorite party thrown! where do I start? the paper bag tree, the banner, the cupcakes...wow! love the way you displayed the favors, the cupcakes on stumps, the drink station...Well Done! 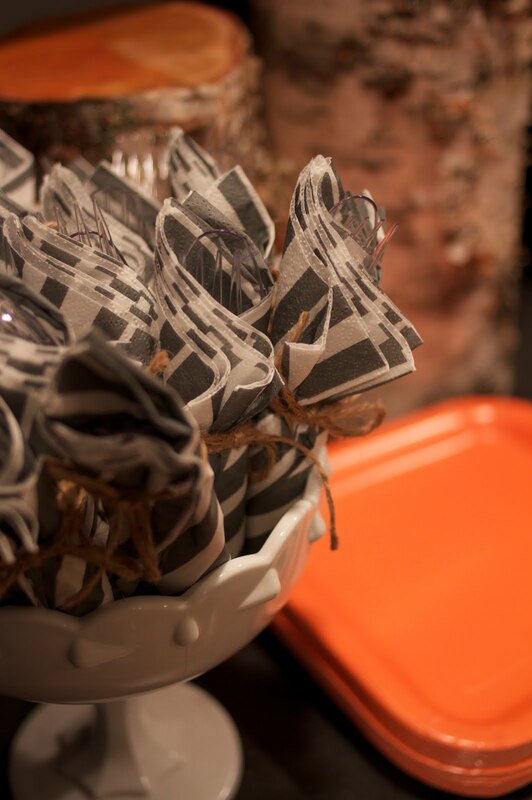 Great theme idea and execution! 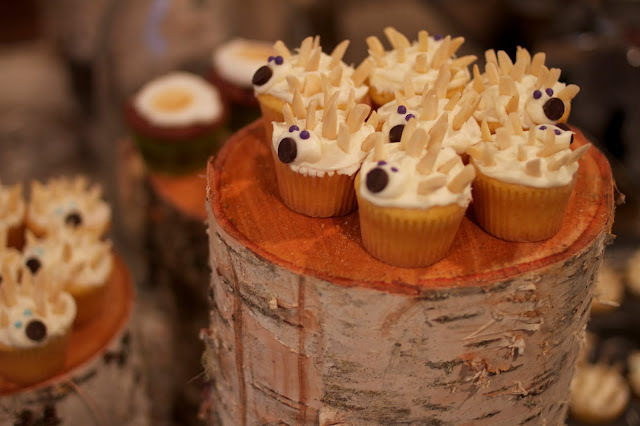 I love the tree stumps as cupcake platters! And especially how it ties in to the last name. So cute! Oh, and the hedgehog cupcakes--precious! this is too awesome. i can't even stand it. so sweet! 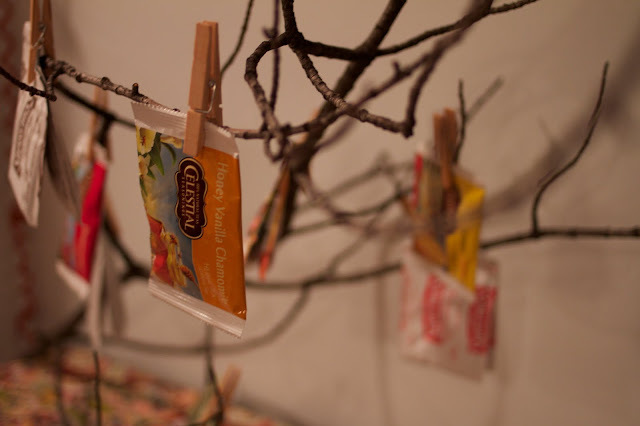 I love the tea tree! 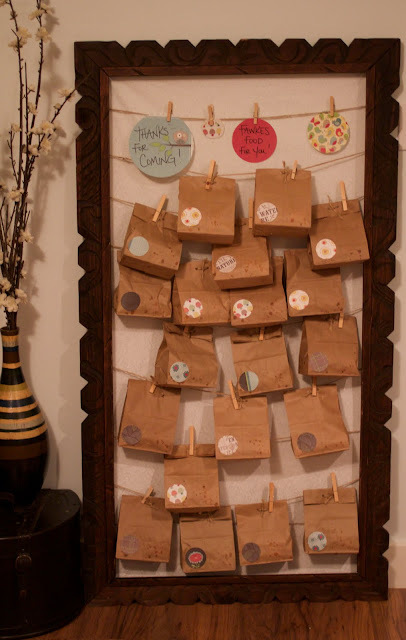 And definitely "borrowing" the favor bag frame! 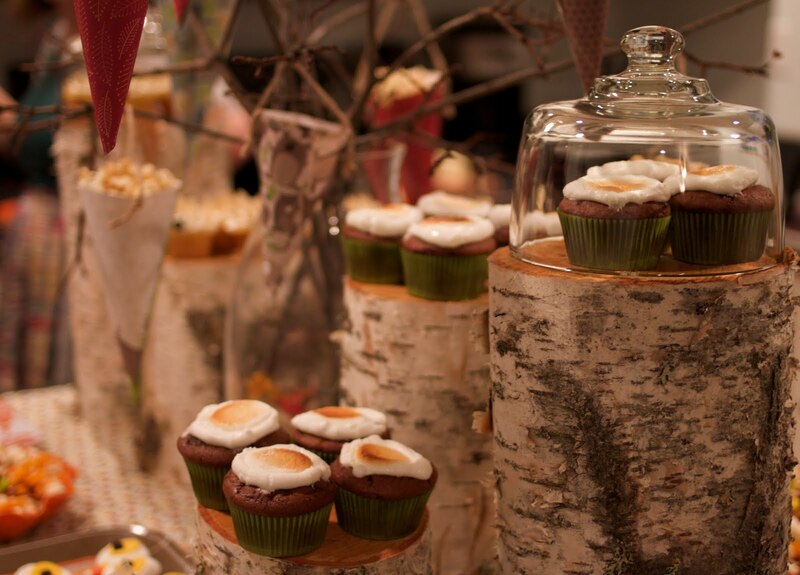 Love the tree and how you used the tree stumps as a dessert table. Awesome from start to finish.